George A Olley was a member of the Anerley Bicycle Club. He was a famous early record breaker between 1900 and 1908. He was also famous for his vegan diet he also rode for two other cycling clubs. He broke many records in 1900 he rode 323 miles in 24 hours and 100 miles in 5 hours 31 minutes. All on fixed gear and dirt roads. He also broke the London to Portsmouth and back record with a time of 8 hous 30 minutes. 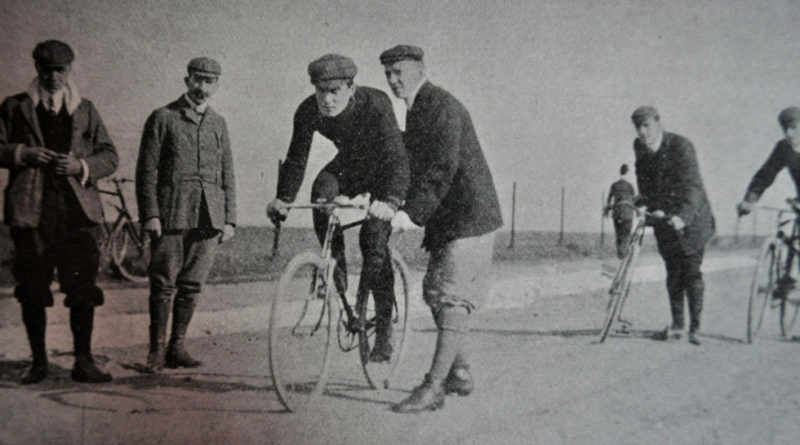 He broke the 12 hour record in 1901 and 1902. In 1903 he broke the Lands End to John O’Groats record. 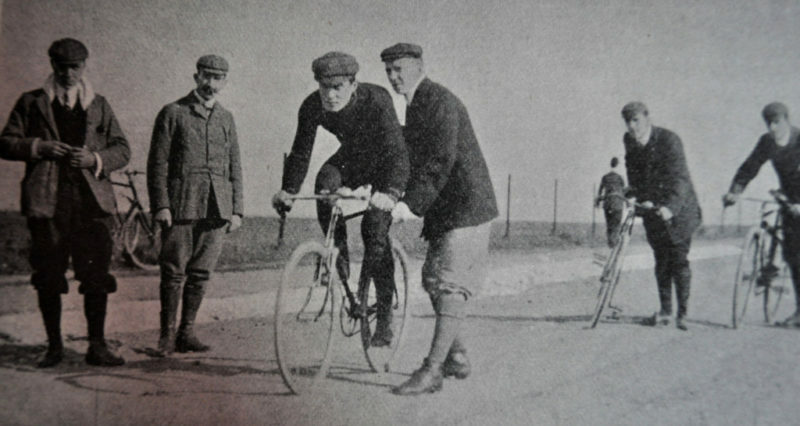 In 1904 he broke the 12 hour record again with 202 miles and was given the Appletree shield outright. He improved his 12 hour time later on with 208 miles. In 1905 George broke the London to Edinburgh record by 52 minutes having fallen three times, had puntures and fallen damaging his shoulder. He covered 382 miles in 27 hours 11 minutes. In 1907 George broke the lands end to John O’Groats record again and went on to break the 1,000 mile record by 8 hours with a time of 4 days, 9 hours and 3 minutes. George would have had helpers along the route with food and different bikes on lower gearing for the hills. 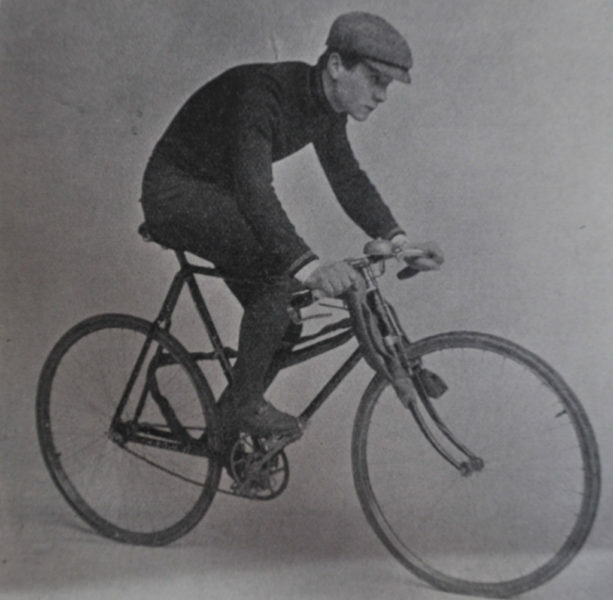 His Lands End record was broken in 1908 by another rider riding with the new Sturmey Archer 3 speed gearing. All racing would be a time trial in the early morning. Cycling gear would be black tights with a built in pocket for food and a puncture repair kit, Alpaca jacket and flat cap. Race food would be a water bottle with egg and milk, egg and lemonade, weak tea and egg. Solid food would be taken every 15 minutes and would have been rice pudding, custard, banana’s, bread and jam. George would have had helpers by the road giving him his food. George started off riding a Raleigh x frame path race (path being the Victorian word for track). These bikes were the top racer of the day and many other bike companies copied the design. They came in two versions. One for the track which weighed 23lb would have had wooden rims, wheel size was 28 inches and 1 an a half inch width. Tyres where of the Paris or constrictor design. George would carry a spare front tyre on the left fork and a spare rear tyre on the right fork. The track bike had a fixed gear of 88 inches. The road bike had steel rims, a fixed gear of 80 inches,weight was 26 lb. Cost £30. Later on George rode for New Hudson which had a normal diamond frame and by 1905 the weight was less than 22lb. 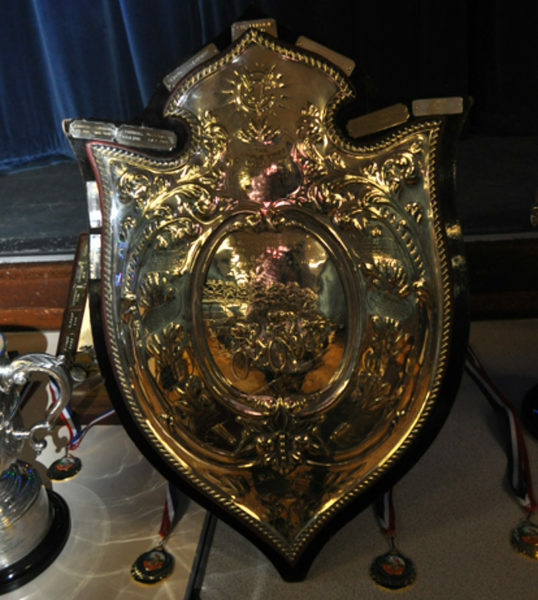 George Olley retired from racing in 1908 and the club was later given the Appletree shield back by the Olley family. I must say thanks to Des for some of the history of George.